MSF operations manager Christian Katzer is just back from Yemen’s Taiz governorate, an area divided by active frontlines and multiple checkpoints, where he visited medical facilities run and supported by MSF on both sides of the frontlines. 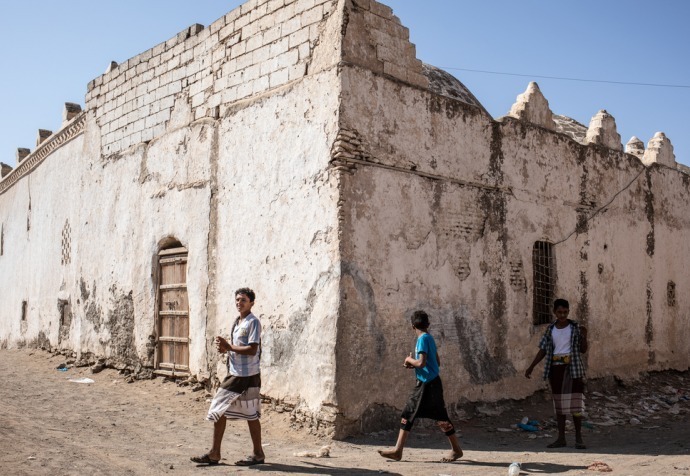 “For most people in Taiz governorate, getting to a health facility care is very difficult, largely because of the destroyed infrastructure and people’s economic situation after four years of war. It is especially hard if they live in the countryside or in areas affected by violence. War affects everybody, but we see a particularly high number of deaths of mothers and children. Pregnant women often arrive very late to give birth and we have patients who travel for hours to reach us. I spoke to one woman who had travelled for four hours with an obstructed labour to reach the nearest functioning hospital. To reach Taiz, she and her husband had to cross a number of checkpoints and then negotiate the narrow backstreets of the city. Her husband told me how extremely afraid he was of losing his wife, because she was bleeding so heavily and the journey took so long. MSF is one of just a few international organisations working in Taiz city and the only one with permanent international staff on the ground. In the city, we are supporting three hospitals, each with a different medical specialism. One provides maternal care; one provides medical care for children; and the third provides emergency trauma care for people wounded mainly by fighting. All of these services are free. In the maternity hospital in Taiz city, there are roughly 350 deliveries a month, and in our mother and child hospital in Houban, on the other side of the frontline, there are almost 1,000 deliveries in a month. But for the size of the population, these numbers of births are far lower than they should be. It’s a very clear indication that the maternal healthcare that’s available and accessible to all is just not enough. MSF is one of just a few international organisations working in Taiz city and the only one with permanent international staff on the ground. Taiz city – and Taiz governorate as a whole – needs more international organisations on the ground. It needs medical specialists who will support health facilities and make it possible for people to access lifesaving medical treatment. The fact that MSF teams have been based in Taiz city for the past four years shows that it is possible. Working in Taiz city is a challenge, we know that. A number of armed groups control different parts of the city, there is a frontline close by, and there are armed men who try to stop people from reaching medical care. Even getting to Taiz city is complicated. You have to travel along narrow mountain roads, as the main road is blocked by the frontline. It’s difficult, but it’s still possible. The needs in the city are overwhelming, and there’s always a solution. For people living on the other side of the frontline, accessing medical care can be equally difficult – for example in Houban, a suburb of Taiz. Before the recent conflict started, people living in Houban could reach a public health facility in 10 or 20 minutes. Now it takes six or seven hours, most people therefore prefer going to the neighboring governorate of Ibb The journey involves travelling along narrow mountain roads and crossing checkpoints. On the Houban side of the frontline, there are no public hospitals. MSF is the only provider of free hospital-level care for almost 150,000 people. In Houban, I was particularly touched by the story of one heavily pregnant woman. This woman came from some distance away and had spent a lot of money on transport to reach MSF’s mother and child hospital – money that the family had had to borrow from neighbours. When they reached the hospital, we had so many women giving birth that we had actually had to close our maternity admissions. The 130-bed hospital was at full capacity. It’s heartbreaking for our staff to have to turn away pregnant women who are desperately in need of medical care. In the end, we were able to find space for the woman to give birth, but it isn’t always possible. We call on all warring parties to respect international humanitarian law, to allow humanitarian staff to do their work, and to allow people in Yemen to access health facilities. Across Yemen, we are still seeing attacks on hospitals, health facilities, ambulances and medical staff. We are still seeing armed groups preventing people from receiving medical care. This is not acceptable.